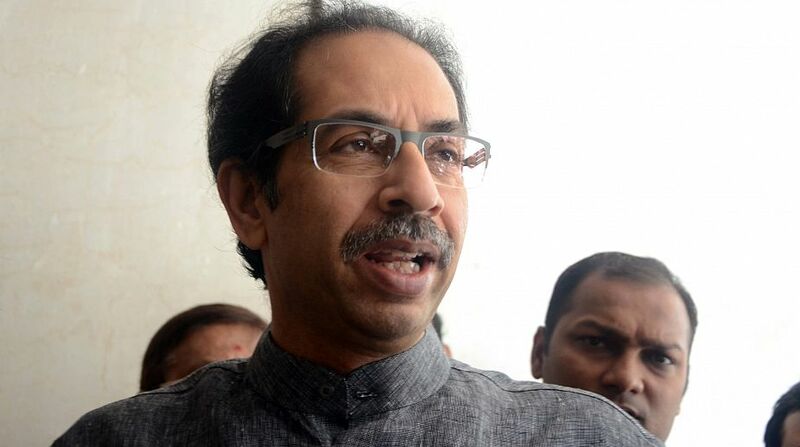 The Shiv Sena today again attacked the Centre over fuel price hikes and asked if rates had been kept high despite a slump in global crude oil prices to pay for interest on the loan taken from Japan for the bullet train project. Two days ago, the Sena, a constituent of the ruling NDA at the Centre and in Maharashtra, had said high fuel prices were the main reason for suicides by farmers in the country. “Those in the government are not ready to speak on inflation and do not want others to talk as well. The common man is bearing the brunt of fuel prices going through the roof. If people in government support the 20 times hike in fuel prices in the last four months, it is not correct,” an editorial in Sena mouthpiece Saamana said today. The party had earlier decried Union minister Alphons Kannanthanam’s remarks on fuel price hikes as an “insult” to the poor and the middle class, and alleged that those with no merit and no connect with the people were ruling the nation. Who buys petrol? Somebody who has a car or bike. Certainly hes not starving. People who can afford to pay should pay, Kannanthanam had said. According to the Saamana editorial today, those saying that the previous government was better than the present one were termed guilty. “During the UPA regime, crude oil prices were 130 dollars a barrel, yet petrol and diesel prices were never increased more than Rs 70 and Rs 53 per litre respectively. Yet the opposition hit the streets to protest the high prices and even disrupted the Parliament,” it said. “Today crude oil prices are at 49.89 dollars a barrel. Yet, people are not getting the benefits of low prices. Instead, petrol is being sold at Rs 80 and diesel at Rs 63 per litre. This is like looting the people,” the Sena alleged. In other countries, petrol was sold at half the rate, the Sena said. Adding that the Japan government had given a loan to the government for the bullet train project, it asked, “Are these high prices of fuel being imposed on the people to recover the interest amount?”. The prices of cooking gas had increased by about 15 times in the last one year, it claimed. “In the Congress regime, cooking gas prices never went beyond Rs 320 per cylinder. Today, an LPG cylinder costs Rs 785. The prime minister wants to give us a bullet train, that is his dream. But today, people do not have enough money to fill two litres petrol in their scooters and cars,” the Sena said. On the one hand, it said, the rich would get a bullet train; on the other, the common man would have to travel by bullock carts as they would not be able to afford vehicles anymore.